What an extraordinary amount of rain we’ve had in such a short time ?? This past month or two, I’ve been getting a phenomenal amount of enquiries regarding mould in leather items.If you haven’t taken your leather clothing out of the cupboard for a while, or haven’t checked the back of your lounge suite, DO IT NOW. What you are looking for are mould spores, or any strange marks or discolourations on the leather, generally, one may also notice a rank odour, but don’t smell too close as you may ingest mould spores into your lungs. Mould spores can pose serious health risks for the young, the elderly and those with allergies. Although based in Cairns and servicing the Cairns area daily, we also travel to Port Douglas & Mossman, the Atherton Tablelands & Mission Beach areas every three months. Cairns Leather Care gives all of our customers a 14-day satisfaction guarantee. To guarantee a fair price, we do not give quotations over the ‘phone. Call Shorty today for an answer to your leather questions. This past month, we’ve been getting a phenomenal amount of enquiries regarding mould in leather items. If you haven’t taken your leather clothing out of the cupboard for a while, or haven’t checked the back of your lounge that may sit close to a wall, DO IT NOW. Not only that, but depending on the type of leather, the mould spores can either “pit” the leather, ie; eat the very top surface of the leather, leaving small indentations in the the leather which will render the leather ugly and devalue it. Or, if it is Nubuck, (Suede), the mould spores may eat halfway or all the way through the fibres. When the leather is cleaned, these fibres will fall out leaving a bald patch of raw leather which can look like a dog that has mange, again looking ugly and devaluing the leather. Don’t put your family and friends at risk, call Shorty today for a free, no obligation estimate to treat and clean your leather. Naturally, without sighting the furniture or any other item, to ascertain the leather type and severity of the mould, we cannot give an accurate price over the ‘phone. BUT, we will come to your home or place of business to assess your furniture, (conditions apply in relation to travel), there is no charge for the Cairns CBD & close suburbs. 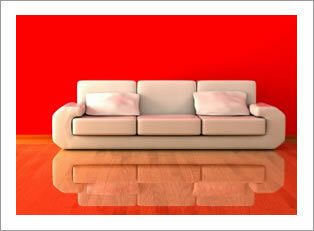 We visualise leather upholstery as an investment for the future. It is comfortable, long lasting and looks great, however if leather is not looked after properly, it can become dry, brittle, and finally crack. This could mean a costly replacement or repair. Regular maintenance of your beautiful leather is the best way to maintain its peak condition. In our quest for excellence, we regularly travel interstate and overseas so that we may gain training in the latest technologies pertaining to leather care. Or, if preferred, a courier service may suit you better for any items of clothing you may need cleaned. 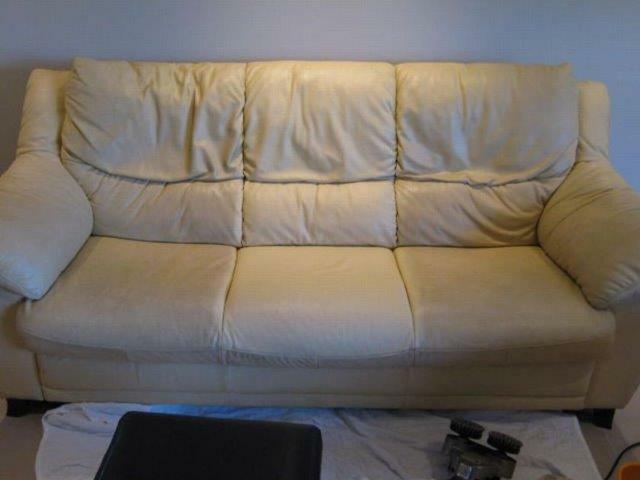 If you are not totally satisfied we will re-clean your upholstery free of charge.